Bright golden yellow color. 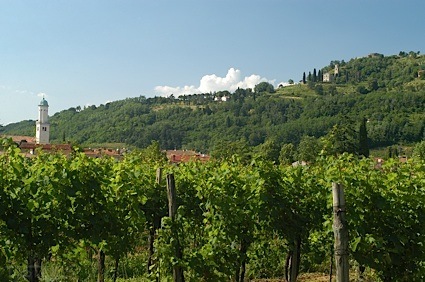 Earthy aromas and flavors of honeyed herb muffin, dried citrus, honey powder, and grape scented candle wax with a lightly tannic, crisp, fruity light-to-medium body and an even, engaging, medium-long finish that presents notes of honeyed green apple and citrus, wintergreen, and coconut water finish. A lively and tasty fruity mead with great flavor and versatility. Bottom Line: A lively and tasty fruity mead with great flavor and versatility. 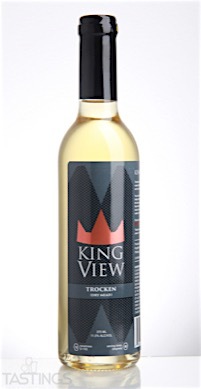 KingView "Trocken" Dry Mead rating was calculated by tastings.com to be 90 points out of 100 on 12/7/2016. Please note that MSRP may have changed since the date of our review.